Although you file an income tax return only once a year, the federal income tax is actually paid on a rolling basis through payroll taxes. While both income and payroll taxes go into the same fund and cover federal expenses such as Social Security, Medicare, research and defense, they are deducted differently, and some people pay one tax but not the other. Payroll taxes are taxes your employer withholds from each paycheck. The amount of withholding is determined by your W-4, a form that you fill out that lists your personal allowances. Each allowance -- such as head of household or married -- can slightly lower the amount withheld from your paycheck. Withholdings are based upon your estimated income tax bracket, which is based upon the amount you make with each paycheck. Your employer reports the total amount withheld to the Internal Revenue Service, and you must record this amount on your federal income tax filings. Employers pay a portion of their employees' Social Security and Medicare taxes. Unless you make less than an annually established amount -- $9,750 for single people in 2012 -- you must file income taxes, even if you don't think you'll owe any money. Your income tax returns take into account your payroll tax withholdings, deductions and credits and calculate the amount you owe the IRS or that the IRS owes you. If you don't work for money and instead make money off interest and dividends, you're required to file taxes unless you make less than the minimum threshold. Non-employees such as business owners and independent contractors are also required to file annual tax returns. If you're not an employee, you won't have payroll taxes deducted from your wages. But, because taxes are paid on a rolling basis, you must calculate estimated taxes on a quarterly basis -- due on Jan. 15, April 15, July 15 and Oct. 15, or the business day immediately after the 15th if it falls on a weekend or holiday. People who are self-employed must pay the full amount of Social Security and Medicare taxes since there is no employer to pay half of it. This self-employment tax is 15.3 percent. However, the 2010 Tax Relief Act and 2011 Temporary Payroll Tax Cut Continuation Act lowered this rate to 13.3 for 2011 and 2012. 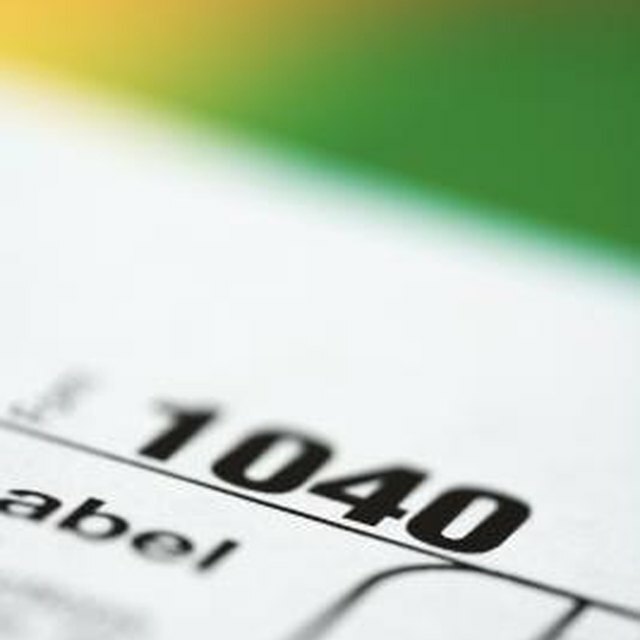 People who are self-employed must file income tax returns if they make $400 or more per year. Your payroll tax deductions are based upon your W-4 form. The more allowances you claim, the smaller the deductions will be from your wages. Claiming fewer allowances can decrease the likelihood that you owe income taxes at the end of the year and may even make you eligible for a refund. Similarly, claiming more allowances might increase your income tax liability at the end of the year. TurboTax: Does Everyone Need to File an Income Tax Return?